The Chaperone, Laura Moriarty: This isn’t “the one” from my trip, but really was quite a nice read. Remember The Paris Wife from last year? (And Loving Frank from not too long before that?) I thought both of those books were serviceable, even if they were products of their marketing. Again, they want you to buy this one because you bought The Paris Wife, but really, it’s quite a different book. It’s about a woman, Cora, who finds herself chaperoning Louise Brooks on Brooks’s first trip to New York City, where she becomes a dancer and gets discovered. Instead of the book being about Louise Brooks herself, it’s much more about Cora and her past. An orphan who rode the orphan train out West and was adopted by loving parents (who later died, leaving her unprotected and almost destitute), Cora puzzles together the pieces of her past while she wanders the streets during Louise’s dance classes. The book fell apart and lost its narrative tension for me a little towards the end, as Cora finds herself living a double life in her home of Kansas City. Nevertheless, a serviceable vacation read. If you liked Loving Frank, you’ll enjoy this one too. Geek Love, Katherine Dunn: Holy crap. When I finished this book, I couldn’t help but be angry at everyone I know who has let me go all these years without reading it. Geek Love was a revelation, a watershed reading experience. I was never particularly interested in reading this book because I couldn’t find out very much about it, besides the special breeding of circus freaks. Turns out that to say much about the actual happenings of the book would seriously spoil many details for any potential reader, so thanks to all synopses for being vague and sketchy. The narrator, Oly, gets into your soul and stays there. The book is about motherlove, about family love, about beauty and ugliness and where one starts and the other ends. It’s about freakishness and freedom, and pain and servitude. The epigraph is from The Tempest, and I read and re-read it about fifty times just so that the top of my head would tingle again. Just buy it, just read it, just buy more copies to give away. 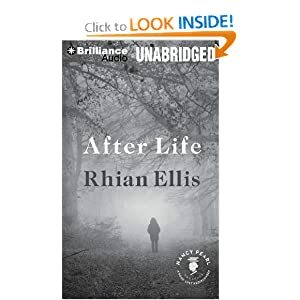 After Life, Rhian Ellis: After I read a book I truly love, I *never* manage to give the next book a fair shake. Case in point, After Life. This is another of Nancy Pearl’s Book Lust Rediscoveries, a series published by Amazon that promises to be a reliable source of good books I’ve never heard of before. The first page finds the narrator with a corpse to bury, an indication that there’s plenty of plot to follow. And there is. More interesting in this book, however, is the Southern setting of the book and the small-town atmosphere. Primed to notice mother-daughter relationships after Geek Love, I also found the relationship between the narrator and her mother really interesting. A solid read, but one I felt half-hearted about after the sucker punch that was Geek Love. 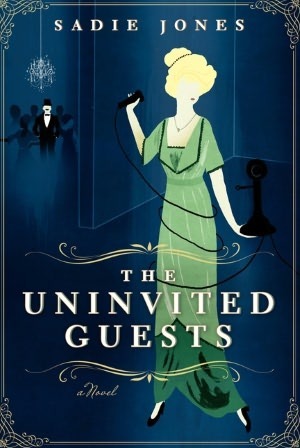 The Uninvited Guests, Sadie Jones: Again, I can’t figure out what my problem was with this book. I’ve looked forward to it for MONTHS, and pounced on my library’s copy as soon as it had been properly stickered. Maybe it felt a little too Downton Abbey? There’s a down-in-heels family who owns an estate. They’re trying to scrape together the money to save it, to keep the house and property, and of course, there’s a daughter of marriageable age and a rich suitor. But there’s also a childhood-friend-turned-hottie, and a mysterious interloper, and a bizarre train accident that brings hordes of the unwashed to the estate to stay. There’s a little sister, and a big plan, and a ruined party. The twist at the end almost but didn’t quite redeem it for me. I couldn’t help but wonder if the novel is an opportunity to capitalize on the current popularity of Downton Abbey? Ah well. I can see myself loving this book at another time, but where and when I read it? Didn’t work for me. Try it if you love Downton Abbey and aren’t feeling particularly demanding of your reading material. Up next (no doubt, over several posts): The Moviegoer, Walker Percy; Stranger Things Happen, Kelly Link; A Sensible Life, Mary Wesley; Light Years, James Salter. What was the last book YOU read that was so good it ruined everything after it?